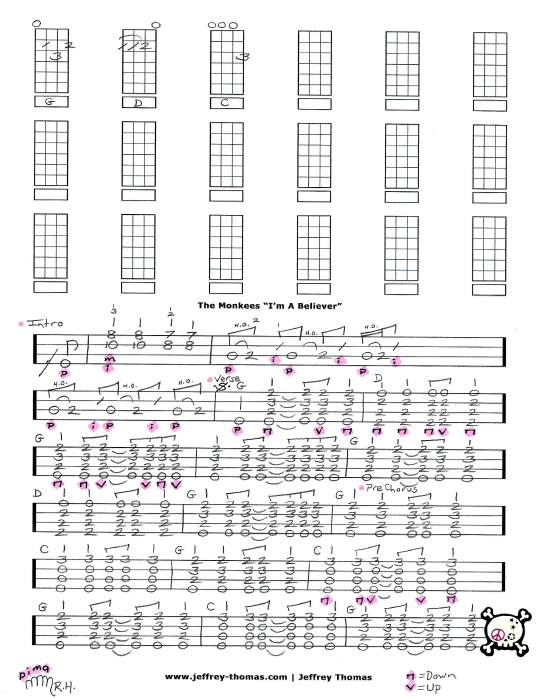 Learn to play “I’m A Believer” by The Monkees with my free ukulele tab arrangement. This arrangement covers the complete song structure, chords and even the guitar licks! Many of my online ukulele students enjoy learning this classic tune. Want the full ukulele tab for free? Just send in your email and I will get it to you. Looking for great online ukulele lessons? Fill out the Schedule A Free Lesson form to set up your first class today. “I’m A Believer” was written by Neil Diamond and reached number one on the Billboard Hot 100 chart! Online ukulele lessons with Jeffrey Thomas are a great way to learn. Schedule a free lesson today!